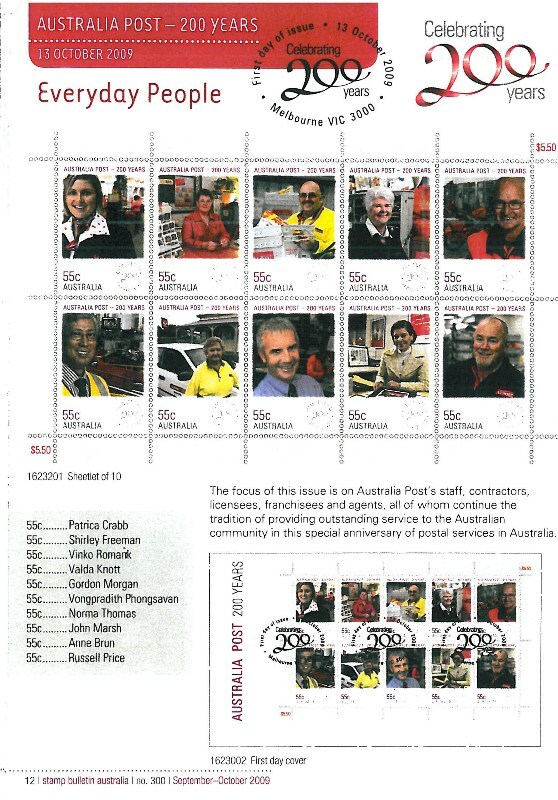 In 2009 Australia Post celebrates its Bicentenary, 200 years as Australia’s official postal service. 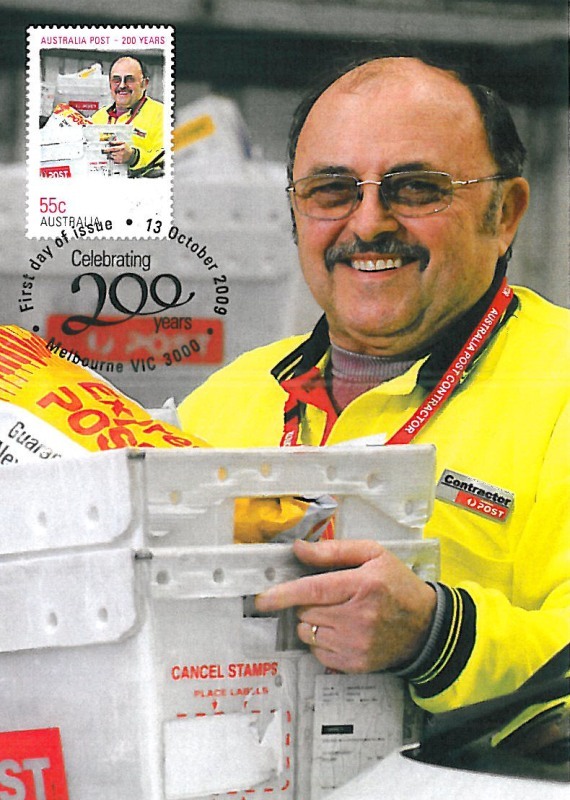 Australia Post has 35,000 employees nationally, 1,600 of whom were nominated for the Bicentennial Medal. Only 250 were chosen, and of those only 17 from South Australia and Northern Territory. It is with great pride that announce that of those 17 from SA/NT, one of the medal winners is our very own, and known to many of you already, Mr. Vinko Romanik from Adelaide. Vinko was born in 1942 in Martin, a small village next to Nasice in Slavonija. Sadly orphaned at the age of two, he grew up in severe hardship with his two brothers and one sister, all older than him. He and his siblings had little guidance growing up, however, Vinko recalls clearly some advice he received from a Franciscan priest, at the church in Nasice where he was an altar boy and sometimes was given food. The priest said to him “Vinko, listen carefully to what I’m about to tell you. Always in your life, do good for other people. If you ever do something negative to someone else, let it be unintentional or through unavoidable circumstances.” These profound words hit deeply into Vinko’s soul and he has carried and heeded them throughout his whole life. Vinko came to Australia with his wife and daughter in 1969 and almost immediately immersed himself into work with the local Croatian community in many different capacities. He played the prima in the band for the folkloric dance group, he helped out at Club functions, he and his wife both joined the church choir (of which they are still members to this day), he joined several committees and of course his work on Croatian Radio. 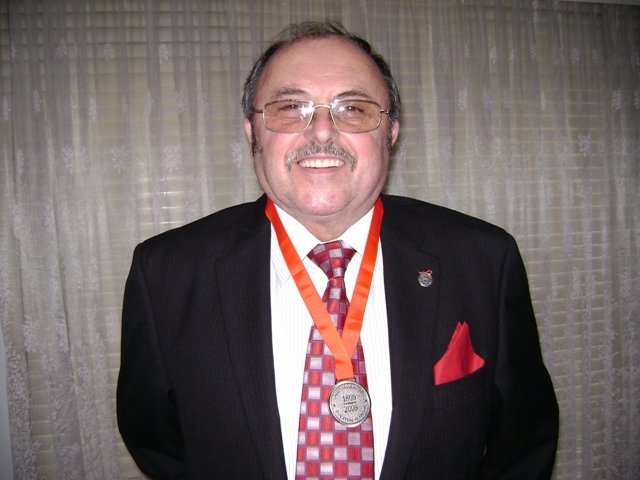 He first came to prominence in both the Croatian and Australian media when he received the OAM, the Order of Australia Medal in 2001 for his many uninterrupted years of service to the Croatian Radio Program and Community in general. For the past 15 years Vinko has been an active Justice of the Peace in South Australia, a service which has been of great value to members of our community, as there are not many JPs who speak Croatian. Vinko began working for Australia Post more than 13 years ago. He has always been a positive person, kind and very communicative with others, always with a smile for everyone and a helping hand whenever required, and very meticulous in his day to day tasks. These are some of the great qualities that he brought to his work with Australia Post, so when the nominations for the Bicentenary Medals were announced, his Manager, Mr. Tim Bishop, immediately thought of Vinko as an obvious choice for such an honour. Vinko received his medal at a posh ceremony at the Adelaide GPO on 17/6/09, which was attended by several hundred local dignitaries, politicians and media people. However, there is more to this story. Of all the 250 medal winners, only ten were selected to appear on an exclusive series of a 55c Bicentennial stamp issue which came out on 13/10/09. One of these lucky people was again Vinko Romanik. We believe that Vinko is the first Croatian person, outside of Croatia, to appear on an official stamp of any country in the world. Quite an achievement! The stamps are available at any Australia Post outlet. We congratulate Vinko on this amazing accomplishment, which will go down in the history of Australia Post and that of Croatia. We thank him for his tireless work for the Croatian Community, his fellow Croatians and his Homeland that he loves so very much.